Can be realized in 2 various materials. Plastic or recycled paper. For both materials special offers should be made. 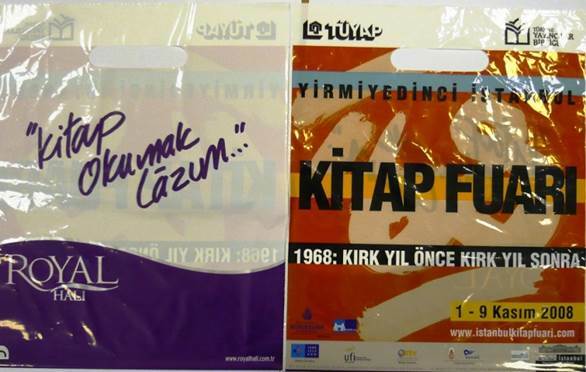 One side of the bag will bear the institutional fair design, designed by Tüyap, the other side will bear the design made by the sponsoring firm. 10 % of the produced lot will be delivered to the sponsoring firm. 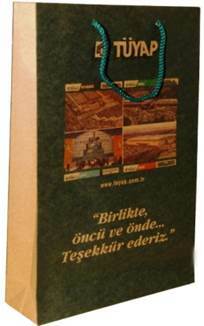 Printing falls under the responsibility of Tüyap. Sponsorship prices for the bags, produced from other materials, will be formed according to the material, and the implementation choices of the sponsoring firm.